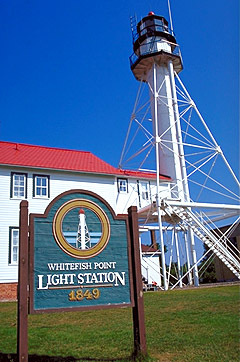 Whitefish Point marks the heavily travelled approach to Whitefish Bay and the Soo locks, on Michigan's Upper Peninsula. 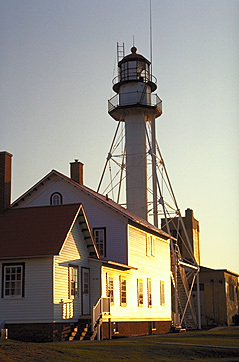 It is the only active light remaining along the southeast shore of Lake Superior. 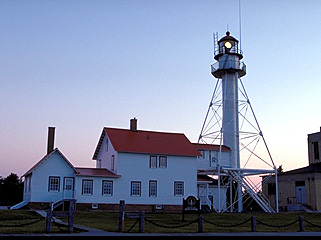 This area is known as the Shipwreck Coast, and is the site of more than half of the 550 known shipwrecks on the lake, including the infamous Edmund Fitzgerald in November 1975. This is a fabulous site to visit -- one of my favorites. 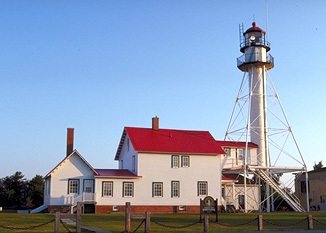 Located 11 miles north of the village of Paradise, where several attractive motels and restaurants await the tired traveller, Whitefish Point Light is also the site of the Great Lakes Shipwreck Museum. 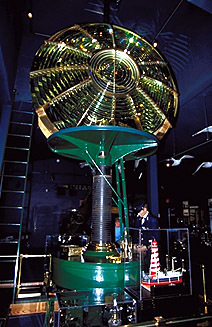 Centerpieces of the museum are the ship's bell from the Edmund Fitzgerald, which was recovered from the bottom of the lake in 1995, and the 19 foot tall revolving second order clamshell lens which was removed from the White Shoal Lighthouse in northern Lake Michigan. 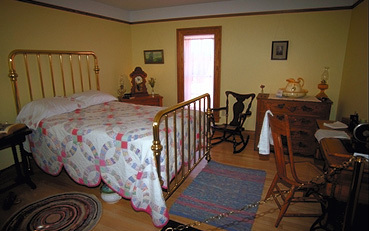 Also, the keeper's quarters are restored and offer a view into the keeper's life. The museum is open daily from May 15 to October 15 10am to 6pm. 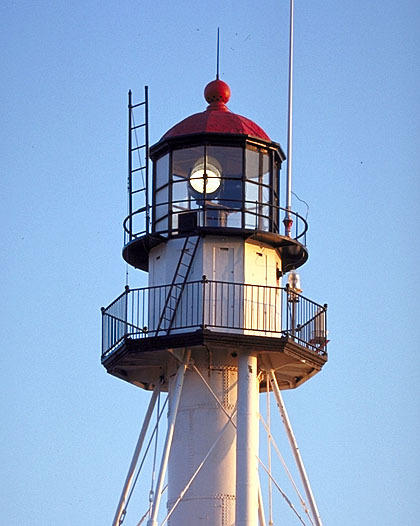 There is a great gift shop on the site, as well as beach access.